Looking to Sell Your Old, Damaged or Unwanted Truck and get fast cash and free tow away than you nailed it, you are on the Right place in the whole Melbourne. Wreckeroo is not just limited to wrecking cars or Vans we also wreck all Makes and Models of Trucks like Hino – Isuzu – Mitsubishi – MAN – Ford Traders – Mazda Trucks and Mercedes Trucks. We pay up to $25k yes $25000 for Trucks depending on the Age, Make and Model of your Truck. We buy all of the above types regardless of its running or not. We come to you and remove your unwanted Truck from your business place or house at our own cost. Wreckeroo is the biggest Truck Wrecking Yard in Melbourne our Laverton North Yard is the biggest in Victoria and we stock more than 10 Makes or Trucks in our Truck Wreckers Yard. We sell second-hand truck parts at very affordable prices including. Wreckeroo is brand that most of the business owners in Victoria trust to dispose of their old and unused trucks because they know they get the unbeatable price from us. We use our own Big-Tow to tow away broken down trucks from your place others charge you a heap of a money for Transport costs and deduct it from the payout which you are supposed to be getting. No other wrecker knows Trucks better than Wreckeroo which means you will get the most cash possible for your old or damaged Truck. We have a Team of qualified truck mechanics and telephone staff who are very well educated about the different makes and models of Trucks which means you don’t have answer a heap of questions to find the right part or to get the right price for your Truck. We offer Same-Day Service to most or the areas of Melbourne and country Victoria. We pay cash of Up to $25k for Trucks, we buy all types of trucks from small to biggest. Hino Wreckers – For Example Hino FD, Hino FC, Hino FF and etc. 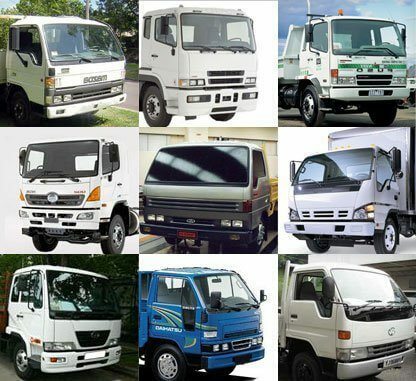 Isuzu Wreckers – For Example: Isuzu NPR, Isuzu NQR, Isuzu FSR, Isuzu FRR, Isuzu SBR etc. But we are not limited to these above models if the make and model of your truck is not listed above please do not hesitate to call us on above telephone numbers we would love to hear from you and service your area. Do we buy good Trucks or Just Wreck Trucks? We buy all sorts of Trucks, running or not, registered or not, has current RWC or not. If you have decided to upgrade and sell your old truck and can’t wait for many people to come to inspect your truck than Wreckeroo is there to help you, selling a Truck privately can be a stress full experience from getting the RWC (roadworthy certificate) to selling is simply like a nightmare. You might not had the time to do all those things, you may as well be running your business while we are there to buy your truck with NO Registration No Rwc and No Stress. We have over 100 fleet companies in Melbourne in our list who contacts us on yearly basis to sell their old truck due to upgrade policy in place by the admin. We have a huge range of Truck Tyres from Secondhand to Brand New and we offer truck tire servicing too. All service is very fast and efficient because we understand your time is money and you need your Truck back on the road as quick as possible and no one knows that any better than us at Wreckeroo.